Houston we have a problem. It seems I cant focus on my studying at the moment as im totally obsessed with the new TV show Fear of the walking dead. I have always been a big fan of the walking dead from the start. But when I heard about this new TV show from AMC I was very skeptical. I imagined it would be some cheap TV serie where they had some B actors that was gonna just capitalize on the walking dead brand. However I was proven so wrong. This new zombie show is actually even better then the original. Its all so intense when its about people living a normal life and then all hell starts to break loose. Its something we never got to see in the walking dead, just hear them talk about. Maybe one of the reasons we do like it is because it has been built up for us by watching the walking dead. We have thought about it so much how it was before it went bed. Well now we get to see it and I sure love it. 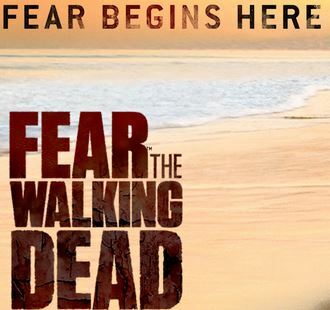 The only bad thing I have to say about the fear of the walking dead is that it might make me fail the next exam. I should be studying but my mind is all about zombies right now. Sure hope I can finnish it all soon and pull of the exams as well.